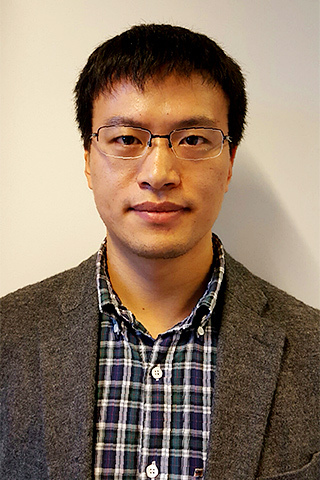 Jun Li obtained his PHD degree in Structural Engineering from the University of Western Australia, and worked two years in the University of Adelaide before joining the University of Technology Sydney. Jun Li is now looking for PhD students with background in structural analysis/dynamics. Full scholarship will be provided to the suitable candidates. The phase field modelling has been extended from brittle fracture to ductile fracture by incorporating plasticity. However, the effects of plastic yield functions and hardening on the fracture behaviour have not been examined systematically to date. The phase field fracture coupled with multi-surface plasticity is formulated in the variational framework for the unified yield criterion, which is able to facilitate the study on different yield surfaces. First, the homogeneous solutions of fracture in elasto-plastic solids are derived analytically for 1D and 2D cases. The results show that a greater hardening modulus would lead to an ascending branch of the stress versus strain curve; and the yield function may significantly affect the stress state and phase field damage. Second, the finite element (FE) technique is implemented for modelling the phase field fracture in elasto-plastic solids, in which the stress update and consistent tangent modular matrix are derived for the unified yield criterion. Finally, three numerical examples are presented to explore the effects of the yield function and material hardening. It is found that the yield function and material hardening could significantly affect the crack propagation and the final fracture pattern. In particular, the Tresca yield function tends to create a straight crack path orthogonal to the first principal stress, while the other yield functions show no sizeable difference in their crack paths. © 2017 Elsevier Ltd. Concrete is the most widely used construction material in the modern construction practice. Due to its relatively low tensile resistance, concrete tends to experience tensile failure and cracking under external loads. To enhance the tensile performance and ductility of concrete material, possible solutions including fibre reinforcement and steel mesh reinforcement are investigated in the present study. Steel fibre, ultra-high molecular weight polyethylene (UHMWPE) fibre and steel wire meshes were mixed with varying volume fraction in the concrete matrix. Static material tests including uniaxial compression and flexural bending tests showed that the steel fibre addition yielded better strength enhancement while UHMWPE fibre provided better material ductility. Concrete samples with hybrid steel fibre-steel mesh reinforcement showed high strength and ductility. Field blast tests are designed to study the behaviour of reinforced concrete slabs under close-in detonations. Different damage profiles are observed from the blast tests. The advantages and disadvantages of using different reinforcing materials are discussed. From the results, the advantages of replacing steel fibre with UHMWPE fibre or steel wire mesh were demonstrated. © 2017, © The Author(s) 2017. As emerging advanced construction material, ultra-high performance concretes have seen increasing field applications over the past two decades to take advantages of their ultra-high mechanical strength and durability; yet the systematic study on its dynamic behaviour under impact and blast loads is not commonly seen. This article presents an experimental and numerical study on the static and dynamic behaviour of an existing ultra-high performance concrete material. Experimental study on its flexural behaviour under static loads is conducted and an inverse study is carried out to derive its uniaxial tensile constitutive law. The derived relationship is used in the material model in hydro-code LS-DYNA together with dynamic material properties to study ultra-high performance concrete columns under blast loads. The residual loading capacity of the column is studied and pressure–impulse diagrams for assessing the ultra-high performance concrete column damage under blast loads are proposed. Parametric study on effects of ultra-high performance concrete strength, column height, cross-section size and reinforcement ratio is performed and analytical equations are proposed for generating pressure–impulse diagrams for generic ultra-high performance concrete columns. © 2016 This paper investigates blast resistance and residual strength of concrete-filled steel tube (CFST) columns under close-range blast loads. A total of 8 CFST columns, including 4 with circular cross sections and 4 with square cross sections, were tested under close-range blasts. LVDTs were used to record displacement histories and pressure sensors were used to measure pressure histories. The influence of explosive charge weight, steel tube thickness and cross section geometry on dynamic response of CFST columns was analyzed and failure modes of CFST columns were also investigated. Following the blast tests, an experimental study was conducted to investigate residual strength of blast-damaged CFST columns. It was found that the CFST columns were still able to retain a large portion of their axial load capacities even after close-range blast events. © 2016 Elsevier Ltd Over the past several decades, iconic and public buildings have become targets of terrorist bomb attacks, but most of these buildings were built without consideration of blast loading scenarios. Key load-carrying elements such as concrete columns are probably the most critical structural components for structural protection against bomb threats. Failures of columns may trigger catastrophic progressive collapse if there is insufficient structural redundancy. In a recent study, novel ultra-high performance concrete (UHPC) material formulated based on reactive powder concrete (RPC) was developed. Field blast tests on columns made of this material were performed. Test results showed that UHPC columns had excellent blast resistant capability, only small mid-height deflection and minor concrete damage was observed after the blasting tests. In the present study, to quantify blast-induced damage and assess residual loading capacity of UHPC columns, static axial loading tests on post-blast UHPC columns were carried out. Undamaged control samples were tested to provide benchmarks. Damage index and residual loading capacity of UHPC columns after various blast loadings were obtained. It was found that column cast with micro steel fibre reinforced UHPC preserved more than 70% of its loading capacity after 35 kg TNT detonation at 1.5 m standoff distance, while high strength concrete column only maintained 40% loading capacity after 8 kg TNT detonation at 1.5 m standoff distance. © 2017 The Authors. Retrofitting technology and high performance construction material are now widely investigated so as to increase structural ductility and robustness under extreme loading conditions. In the present study, some recent developments in structural protection against blast loads are compiled. Metallic foam materials with varying foam density and gradient are used in the cladding design, their energy absorbing capacities and stress-strain relationships are studied based on uniaxial compression tests. These foam material are used to cast sacrificial claddings on the concrete slabs in the field blast tests. Damage and structural deformation are measured to check the effectiveness of the claddings. Besides sacrificial foam cladding, concrete material with new reinforcement scheme including steel wire mesh and micro steel fiber is developed, and the static test results indicates the excellent ductility and crack control ability of this novel design. In the field blast tests, concrete slabs with different steel wire mesh reinforcement are exposed to varying blast loads. The effectiveness of the slab reinforcing design is discussed based on field performance. Columns are essential load carrying structural components and may experience accidental loads such as terrorist bombing attacks during their service life. Damages to columns may trigger structural collapse and it is therefore very important to protect critical load-carrying columns. In recent studies, a novel ultra-high performance concrete (UHPC) material was developed and static loading test results revealed its outstanding mechanical strengths and ductility. The present study investigates the blast load-carrying capacities of columns made of UHPC. Concrete columns built with UHPC were blast tested in the field first; then brought back to laboratory and subjected to static load tests to determine their residual load-carrying capacities after experiencing varying levels of blast damage. The results from the field blast tests and laboratory static load tests for residual load-carrying capacities are presented and discussed in this paper. Numerical models for simulating responses and residual strengths of the UHPC columns after blast loadings are also developed in commercial hydro-code LS-DYNA and presented in the paper. Comparisons between the test data and numerical results are made and the accuracy of the numerical model is validated. Efficiently and accurately predicting structural dynamic response and damage to external blast loading is a big challenge to both structural engineers and researchers. The conventional numerical treatment to this problem is proved being able to give reliable predictions, however at the cost of enormous computational time and resource. Simplified SDOF approach is popularly used in design as it is straightforward to use and also gives good structural response predictions if the response is governed by a global response mode (shear or bending) and the accurate dynamic deflection curve is available, but it cannot predict the detailed local structural damage. In this study, a new numerical approach that combines the recently proposed two-step method and the static condensation method is proposed to analyze structure response and collapse to blast loads. The two-step method divides the structural response into two phases, i.e. forced vibration phase (blast loading duration) and free vibration phase. Single-Degree-of-Freedom system approach is adopted to solve the structural element responses at the end of the forced vibration phase, and the structural free vibration simulation is carried out using the hydro-code LS-DYNA to calculate the detailed structural response and damage. The static condensation technique is utilized to condense structural components that are relatively away from the explosion center to further reduce the computational effort. To demonstrate the proposed method, the structural responses of a three story RC frame to blast loads are calculated by four approaches, i.e. the traditional detailed FE simulation, the two-step method, the model condensation method, and the new combined two-step and dynamic condensation method. Through the results comparison, the efficiency and accuracy of the proposed combined approach are demonstrated. Spall damage is a typical failure mode of concrete structures under blast or high velocity impact loads. At the opposite side from which the structural element was impulsively loaded, spall will occur if the net primary stresses over an area exceed the dynamic tensile strength of concrete. Fragments of structural element could eject with large velocities, and this kind of damage can cause severe threats to equipment and personnel. In the present study, reinforced concrete columns subjected to the blast loading is investigated and the numerical study of concrete spall is conducted. The spall depth is recorded and compared with the theoretical results derived from wave propagation theory. The parameters that affect the concrete spall damage are investigated. © (2014) Trans Tech Publications, Switzerland. Li, J & Wu, C 2018, 'Experimental study on ultra-high performance concrete columns against low-velocity impact', Proceedings of the 25th Australasian Conference on Mechanics of Structures and Materials, 25th Australasian Conference on the Mechanics of Structures and Materials, Brisbane. Li, J & Wu, C 2018, 'Experimental and numerical study on Basalt scale aluminium foam', 7th International Conference on Protection of Structures against Hazards, Hanoi. © 2017 Taylor & Francis Group, London. High performance and aesthetic appearance of a structural design is the motivation behind high strength concrete development. As a notable representative, high performance steel fibre reinforced concrete is characterized by a much higher compressive and tensile strength compared with conventional concrete, the low water-cement ratio effectively warrants a low porosity microstructure which in turn enhances its durability. In recent years, with threat from terrorism activities, protection of structures against malicious loads such like explosive detonation is attracting more public concern. Due to its excellent mechanical performance and energy absorption capacity, high performance steel fibre reinforced concrete can be used in the construction of key load-carrying components to mitigate the blast induced structural damage. In current study, slabs made of high strength concrete material are field tested under close-in detonations, different reinforcement schemes including steel fibre reinforcement and steel wire mesh reinforcement are used in the slab design. Comparisons are made with normal strength concrete slab. Brief discussion on the different slab design against blast loads are presented. Li, J & Wu, C 2017, 'Fibre-reinforced strain hardening concrete under static and blast loads', 15th East Asia-Pacific Conference on Structural Engineering and Construction, Xi'an. © 2016 IEEE.Structures and their occupants are imposed to great threat under blast loading environment. The current design and research practices mainly focus on structural responses and damages under far field or close-in detonations. The blast scenarios involving contact explosions are not extensively investigated. Under contact explosions, highly localized damage caused by severe stress wave propagation is commonly seen, and this damage mode is significantly different from other dynamic loading types in which structural members usually respond in flexural or shear mode. In recent decades, the necessity of gaining in-depth knowledge about this extreme loading event is highlighted as threat from terrorism activities is rising. In the present study, contact test results on reinforced concrete members are presented. Performances of slabs made of normal strength concrete and steel wire mesh reinforced concrete are compared and discussed. Li, J, Wu, C & Hao, H 2016, 'Experimental and numerical study of a new composite slab under blast loads', 4th International Conference on Protective Structures, Tianjin Chengjian University & Tianjin University, China, Beijing. Yuan, S, Hao, H, Zong, Z & Li, J 2016, 'Numerical Study of Dynamic Responses of Highway Bridge Piers with Different Sections subjected to Blast Loads', 14th East Asia-Pacific Conference on Structural Engineering and Construction, Ho Chi Minh city. Su, Y, Li, J & Wu, C 2015, 'SHPB Test on UHPC with Steel Fibre Reinforcement', 3rd International Conference of Protective Structures, Newcastle. Su, Y, Li, J, Wu, C, Wu, P & Liu, Z 2015, 'Dynamic Behaviour of UHPC Mixed with Nano Material', Fifth International Conference on Design and Analysis of Protective Structures, Singapore. Hao, H & Li, J 2014, 'Simplified numeircal method for analysing blast induced structural responses', 2014 SEM FALL Conference & International Symposium on Intensive Loading and Its Effects, Trans Tech Publications Ltd, Beijing. Li, J, Hao, H & Wu, C 2015, 'Preliminary Investigation of Blast Resistance Capacity of Segmented Column Using Numerical Method', Proceedings of the 3rd International Conference on Protective Structures (ICPS3), Newcastle, Australia, 3-6 February 2015, 3rd International Conference on Protective Structures, Centre for Infrastructure Performance and Reliability, University of Newcastle, Newcastle. Li, J, Wu, C & Hao, H 2015, 'Blast Resistance of Newly Developed Ultra-High Performance Concrete Columns', Proceedings of the 3rd International Conference on Protective Structures (ICPS3), Newcastle, Australia, 3-6 February 2015, 3rd International Conference on Protective Structures, Newcastle. Li, J, Wu, C & Hao, H 2015, 'Blast resistance of UHPC slabs-an experimental and numerical study', Proceedings of the 11th International Conference on Shock & Impact Loads on Structures, 11th International Conference on Shock & Impact Loads on Structures, CI-Premier Pte Ltd, Ottawa. Li, J, Wu, C, Hao, H & Su, Y 2014, 'Numerical analysis of uniaxial compression and four bending tests of ultra-high preformance reinforced concrete', 6th International Conference on Protection of Structures against Hazards, Tianjin. Xu, J, Wu, C, Xiang, H, Su, Y, Li, Z-X, Fang, Q, Hao, H, Liu, Z, Zhang, Y & Li, J 2014, 'Experimental study on the response of ultra-high preformance reinforced concrete columns under blast loading', 6th International Conference on Protection of Structures against Hazards, Tianjin. Li, J & Hao, H 2012, 'Influence of brittle shear damage on two-step method prediction of structural response to blast loads', 5th International Conference on Protection of Structures Against Hazards, Singapore :CI-Premier Pte Ltd,2012, Singapore. Contains various papers presented at the Fifth International Conference on Protection of Structures Against Hazards. The conference was organised to inform and to educate scientists, engineers and the public at large as well, about the causes and consequences of tsunami, earthquakes and radiation exposure. Li, J & Hao, H 2012, 'Numerical simulation of blast induced structural response using static condensation method', 5th International Conference on Protection of Structures Against Hazards, CI-Premier Pte Ltd, Singapore.